RVs can take you and your family to some magical destinations. Whether you are renting one or trying to live in an RV full time, touring the country at your own pace is becoming more popular. Driving around in an RV helps you connect with nature. You’re in control of where you go, what you see, and how you get there. However, if you don’t know how to navigate or read maps, you’ll get lost very quickly. As appealing as it may be just to go wherever the open road may take you, it’s also dangerous to drive around if you don’t know where you’re going. If you know how to read a road map and have some reliable travel apps, you won’t get lost. You’ll even be able to indulge in a little spontaneity and still get to where you need to go. There are two major types of roadmaps: traditional and electronic. Electronic roadmaps are incredibly helpful, as they are updated in real time. Many of them can also inform you about road closures and upcoming traffic. However, if you are in an area where you don’t get any service, they aren’t likely to work. Traditional maps are great for when you’re driving through areas that don’t give you phone service. If you want to go off the grid and live in your RV for a while, these are a great way to know still where you’re going without the screens. If you’re less particular about where you’re going, and just want to head in a general direction, traditional maps can help you locate where you are and give you ideas of where you want to go next. A Road Atlas is by far the most common type of traditional map. These are a collection of road maps that can cover anything from a city, or can cover an entire continent. An American road atlas will probably be the most helpful when it comes to what you need for RVing. There are also RV specific road atlases that have information on RV parks and campgrounds you can use. Many of them will also recommend scenic drives and State Parks you can visit. If you want to explore a particular region in great detail, regional maps are a great way to go. Many of them are included in state road atlases, but you can also get them as a stand-alone product. Regional maps can give you more detail because there’s more room to zoom in and add place markers for interesting locations. If you want to explore more of a particular area, such as the Pacific northwest, you can get a map that shows you the area in more detail. If you need to know exactly where you are at all times, using an electronic GPS is a great option for you. GPS’s are calibrated to help even the most directionally confused people get to their intended location. GPS’s either download maps ahead of time or rely on a cell signal to bring in up to date information about the state of the roads. While using a GPS can be difficult when you don’t know if you can get a signal, they are incredibly exact in their navigation. Along with a GPS, there are some traveling apps that make it easy to figure out where you want to go. These include Google Maps, a digital compass, a park finder, and many more. RVs are not small vehicles. Their size and operating requirements prevent them from going to the same places that passenger vehicles are allowed. Make sure you know the RV restrictions for the area you plan to travel in before you leave. While there are no federal level RV restrictions, each state has different laws. Figuring out road restrictions before you try to drive through a particular area will save you and your family a lot of time. Clearance regulations will be the biggest obstacle to your road trip. The Federal Highway Administration has set the standards for height clearance to be between 14-16 feet. If your RV falls within this range, you will want to be on the lookout for bridges or tunnels that might be too short for you to pass through. Some states only allow RVs to have a maximum height of 13 feet and 6 inches. However, there aren’t any federal regulations, so there’s no guarantee that your vehicle will fall within these guidelines. If there’s a particular road you wanted to travel on, but can’t because of size restrictions, take some time to plan an alternate route. This is where knowing where you are going ahead of time can be helpful. If you’re just roaming the open road, you are more likely to stumble into a roadblock and have to turn around. Take some time in the morning before you head off to plan your route and check for any restrictions. If you find any, make a note of alternate routes you can take and how much time that will add to your trip. 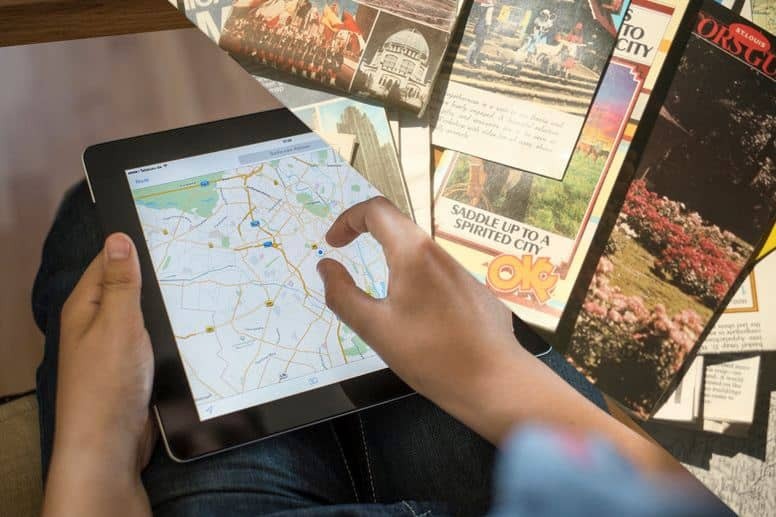 Knowing how to read traditional maps is a great skill that will come in handy when it comes time to pick a new location to travel to. 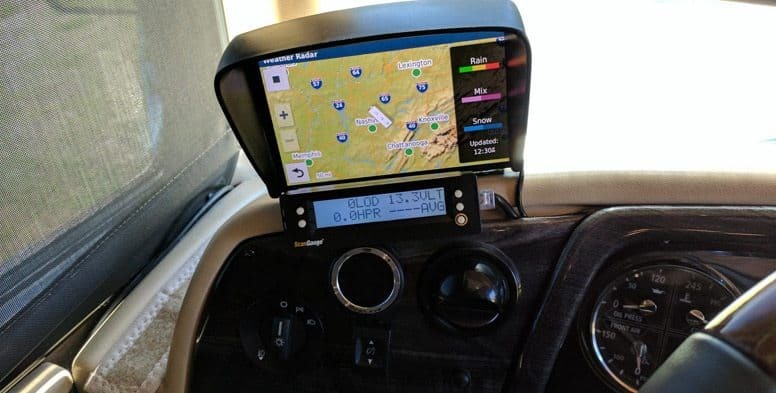 You’ll be best prepared for whatever the road throws at you if you have a combination of traditional and electronic maps, as well as the ability to read them and orient yourself on each map.